Would you like to get more sales from Amazon? Winning the Amazon Buy Box is instrumental to making that happen. In this post we will explain what the role of the Buy Box is and how you can substantially increase your chances of winning it. Amazon is the biggest e-commerce websites in the world and offers incredible opportunities, with 304 million customers generating $107 billion in net sales in 2015. In the US, 81 percent of the people who use the internet use Amazon. It is also strong in other markets, including the UK where it is the most visited e-commerce website. What is the Buy Box and Why is it so important? The Buy Box is displayed on individual product pages and is the quickest and easiest way for a customer to buy. If other vendors sell the same products as you do, then you will compete with them for winning the Buy Box. So if more sellers are selling the same product, Amazon will decide through an algorithm which seller is the best fit to get the Buy Box. When the customer clicks the Add to Cart button, the items of the seller who won the Buy Box will be added to the shopper's cart. 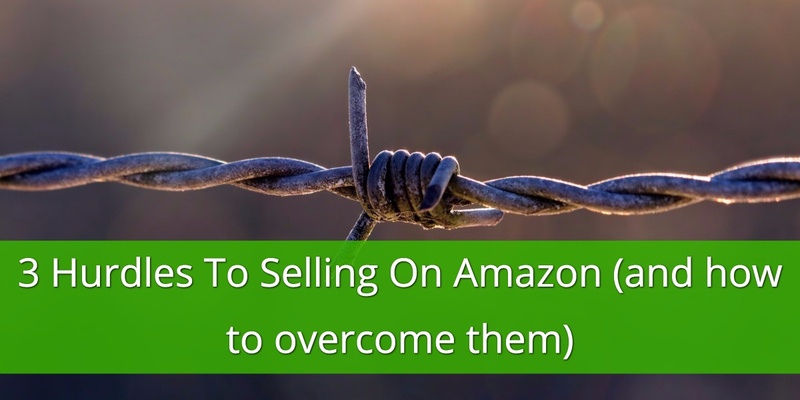 You can generate sales on Amazon without winning the Buy Box, but the Buy Box is where the real action takes place. Now we get to the juicy part – up to 90 percent of Amazon's sales go through the Buy Box. That is a figure approaching $100 billion a year. More people buy through the Buy Box on mobile than desktop. Last year during holiday season more than 70% of Amazon.com customers used a mobile device for the shopping. To understand the importance of mobile further, consider how Amazon displays its products. On desktop devices, customers see the Buy Box, a list of Other Sellers, and a link to all sellers. The Buy Box has the most prominent position, but sales do leak to the other options. On mobile devices, on the other hand, the winner takes it all. 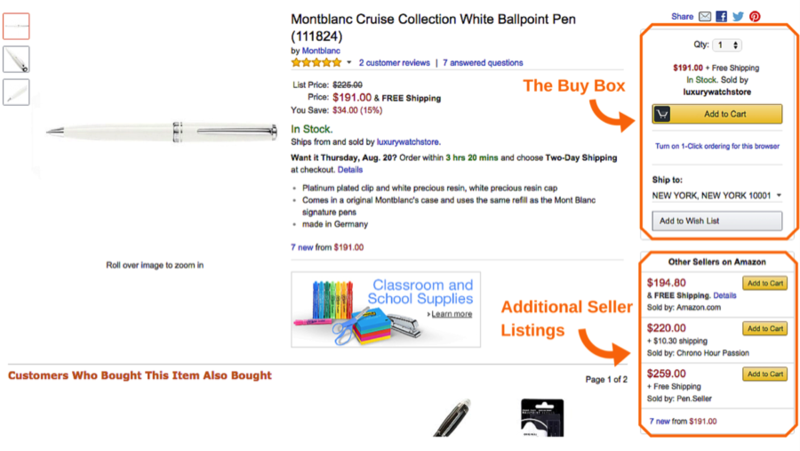 The ”Buy Box” is critical because is directly below the product image and price. To see anything else, the customer has to scroll down. Most people don’t scroll, so they won’t see the other options or even know they exist. Even when they do scroll, all they will see is a link to all sellers as there is no option for pre-selected Other Sellers. For a detailed description of all the conditions and requirements of becoming Buy Box Eligible you can visit these resources: Buy Box Eligible Status and Seller Performance Measurement. Once you are eligible for the Buy Box, the situation becomes a competition between you and other eligible sellers. The only judge in this competition is the Amazon Buy Box algorithm. 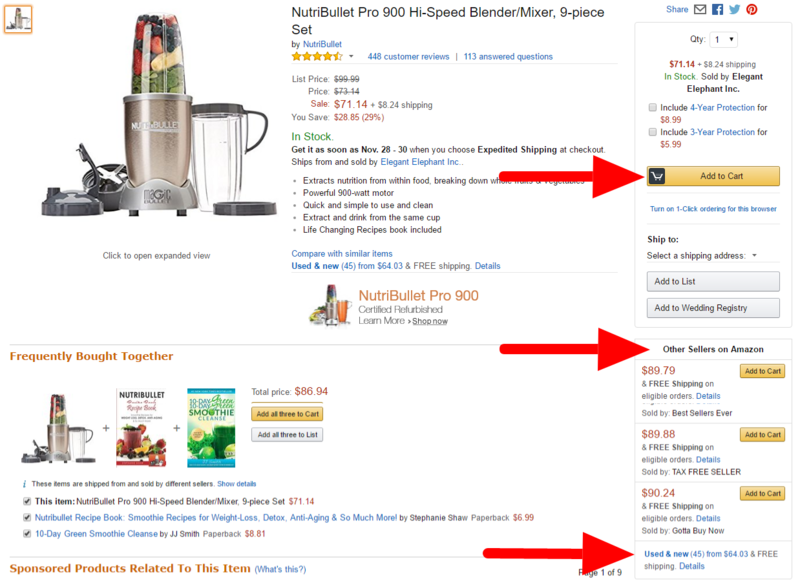 Amazon uses an algorithm to decide which seller gets the Buy Box. When a customer clicks and completes the purchase, that seller gets the sale. Any eligible third-party seller can, theoretically, get into the Buy Box, even when competing against Amazon itself. CPC Strategy has even came up with a recipe for Amazon Buy Box success listing all the ''ingredients'' and their importance in the algorithm. Still, cracking the buy box code is almost impossible because Amazon keeps on adjusting the percentage and weight of the variables they take into consideration when determining the Buy box winner. The good news is that most variables are under your control and you should focus on acing them: stellar feedback, shipping on time, responding quickly to customer inquiries, FBA, having a competitive price and always up-to-date inventory. Fulfillment. This is a challenge for most merchants on Amazon, i.e. those who self-manage fulfillment. It is a challenge because the Amazon algorithm gives an advantage to sellers who use Fulfilment by Amazon or Seller-Fulfilled Prime. If you fulfill your own orders, you have two options. The first is to focus your optimization efforts on the other variables in this list. 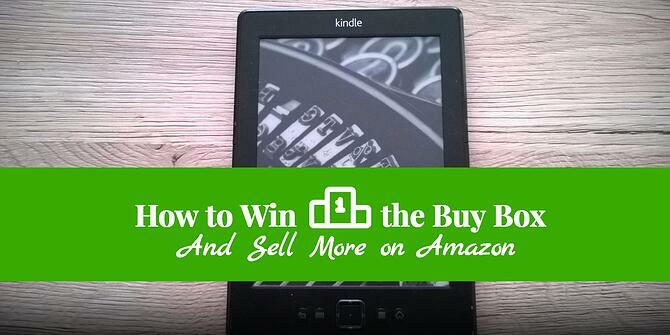 You can still win a greater share of the Buy Box with this strategy. The other option is to explore becoming a Seller-Fulfilled Prime seller where you continue to fulfill orders but you do it according to Prime terms and conditions. Landed Price. The Landed Price is the total price of a product once it has arrived at a buyer's door. 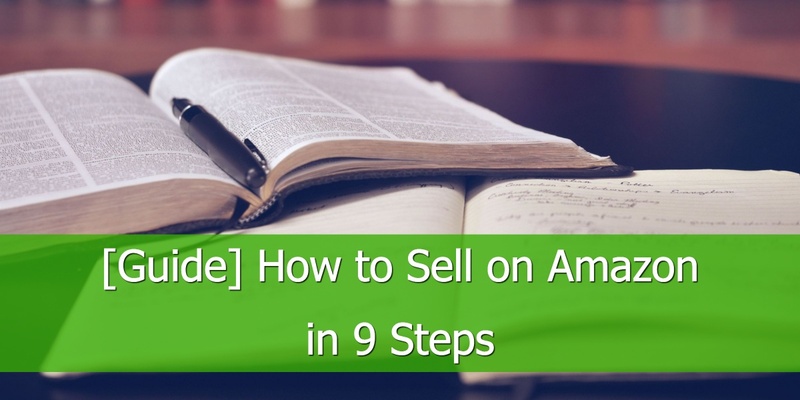 It includes the ''Price'' at which you list your product on Amazon, but it also takes other elements into account, like Shipping price, distance, shipping provider, product price, seller margins and manufacturer. It is important to state that the lowest price will not guarantee that you'll get the Buy Box, but it might even hurt you by being perceived as a cheap seller instead of a quality one. Having said that it is important to have a low price and be competitive, but don't aim for the lowest price. Still, if all the other variants are equal among sellers, a lower landing price will improve your Buy Box share. It may also help when you are not performing well with some of the other variables. Tip: To stay profitable while also maximizing your Buy Box share, use a third-party repricing tool to automatically adjust your prices based on your competition. This will ensure your prices go up as well as down, depending on the market. There are repricing tools on the market specialized on winning the Amazon Buy Box, such as: RepricerExpress, RepriceIt and Appeagle. In DataFeedWatch you can then merge the repricing feed with your product feed, creating rules to make the necessary adjustments. Perfect Order Percentage (POP) score - this is an Amazon metric that considers a number of factors relating to orders. This includes late shipments, cancellations, negative feedback, chargebacks, A-to-Z Guarantee claims, and buyer-initiated messages. If you have a low POP score, you will struggle to win the Buy Box. In fact, even if you have a high score you still might not win if your competitors have a better score (assuming everything else is equal). Tip: To give you an edge, you should consider using a third-party order management tool to ensure your order process runs as smoothly as possible. With an order management tool you stand a better chance to improve the POP score especially if you are selling your inventory in more than one place. You can synchronize all the orders that come from Amazon in one place and improve your fulfillment and shipping time. Shipping - shipping is considered by the Amazon algorithm in a number of ways, but the most important is promised shipment time, i.e. the shorter the time, the better. Keep in mind Amazon's shipping time categories (0-2 days, 3-7 days, 8-13 days, and 14 or more days). Moving to a better category is much more effective than making improvements within a category. For example, it will make a bigger impact moving from three to two days than moving from four to three days. 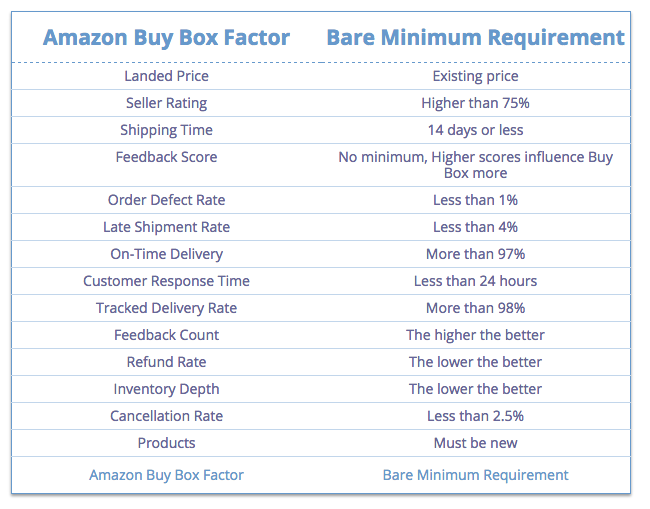 Other shipping factors that influence the Buy Box are late shipment rate, on-time delivery rates, and shipping cost (in relation to landed cost, i.e. cost of product + shipping). Feedback score - good feedback scores, particularly in the last 30 days, will help you win the Buy Box. Order Defect Rate - the higher the rate, the worse your Buy Box performance will be. Amazon calculates order defect rate based on negative feedback, A-to-Z guarantee claims, and chargebacks. Customer response time - responding to messages quickly and making customers happy helps. Automatically exclude products from your data feed if they are out of stock to keep your feed accurate. Also, update your feeds regularly so items that come back into stock become eligible again as soon as possible. Don't try to beat or trick the algorithm by, for example, adopting an aggressive pricing strategy or artificially inflating your reviews. It sometimes results in short-term gains but the gains medium-term and long-term are non-existent. There is a misconception that price is the biggest factor in winning the Buy Box. This is incorrect because the seller with the cheapest price is not guaranteed to win. In fact, as mentioned above the lowest price will not guarantee the Buy Box. Competing only on price also creates other problems, such as a race to the bottom between sellers. Nobody wins when that happens. Focus everything you do on profitability. This means weighing up the costs of Buy Box optimization, the profit you make, and the number of sales you make. For example, let's say a product sells 100 units a month on Amazon. You get 30 sales per month so you are winning the Buy Box at least 30 percent of the time. With a profit of $10 on each sale, your total profit is $300. You decide to reduce your price to win the Buy Box more often. The result is you win at least 40 percent of the Buy Box - a 33 percent increase. That delivers 40 sales but because of the reduction in price, you only make $7 per sale giving you an overall profit of $280. In other words, the strategy to win the Buy Box more often was successful, but it resulted in lower overall profits. 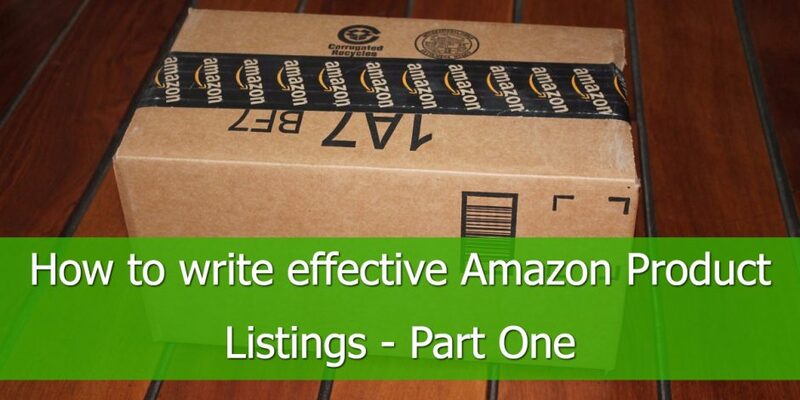 A focus on the Amazon Buy Box will help you make more sales. You should do this intelligently, however, so you don’t damage your profitability. You should also target your optimization efforts strategically and efficiently using automation and third-party tools where possible. 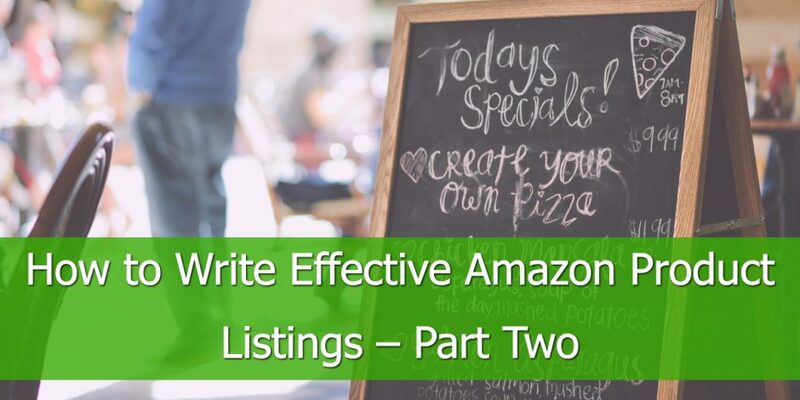 If you are looking to ramp-up the quality of your Amazon listings, then you'll probably find our eBook Double your Amazon Sales useful. Download it and learn how to improve the quality of your feed and your campaigns. Or Ask to Talk to someone from our team of feed specialists.